Intersections: The Downtown 2025 Plan was implemented in the fall of 2011 and guides our initiatives and missions for creating an extraordinary downtown. Active committees led and populated by volunteers from the downtown business community have made great strides pursuing the 2025 Plan’s 10 goals. 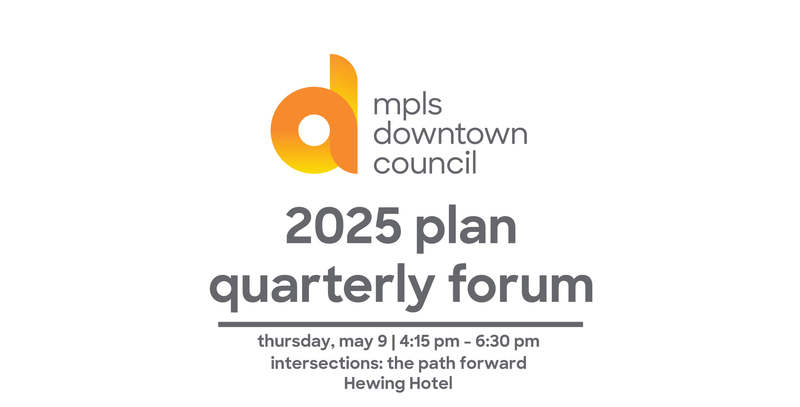 Join us at the Hewing Hotel on Thursday, May 9 to learn how we will continue to engage interested volunteers to make additional progress in the final years of Intersections: The Downtown 2025 Plan!